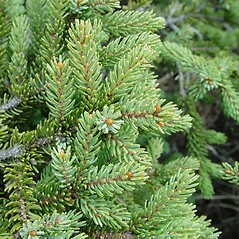 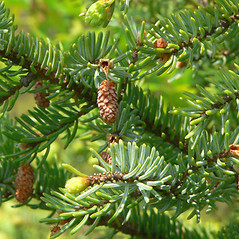 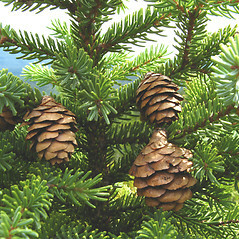 Picea mariana (P. 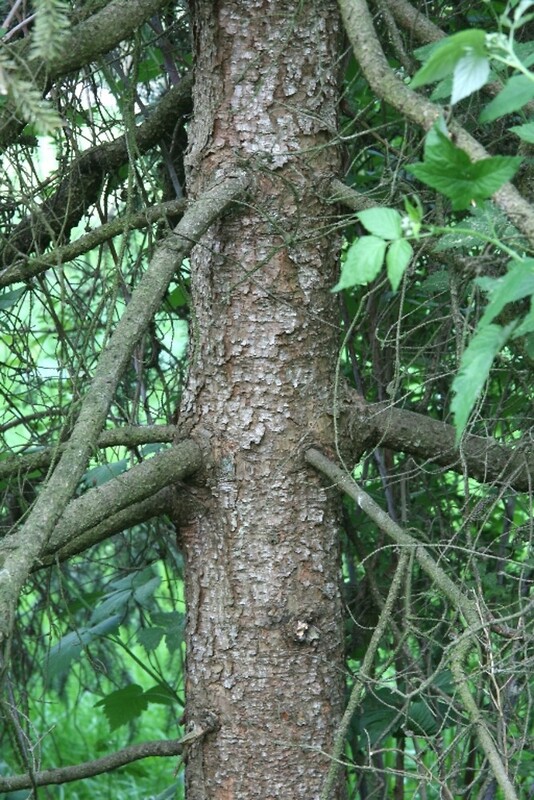 Mill.) 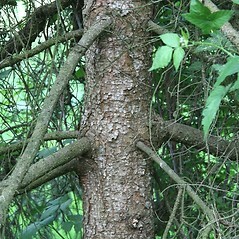 B.S.P. 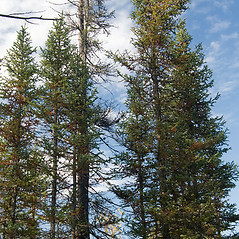 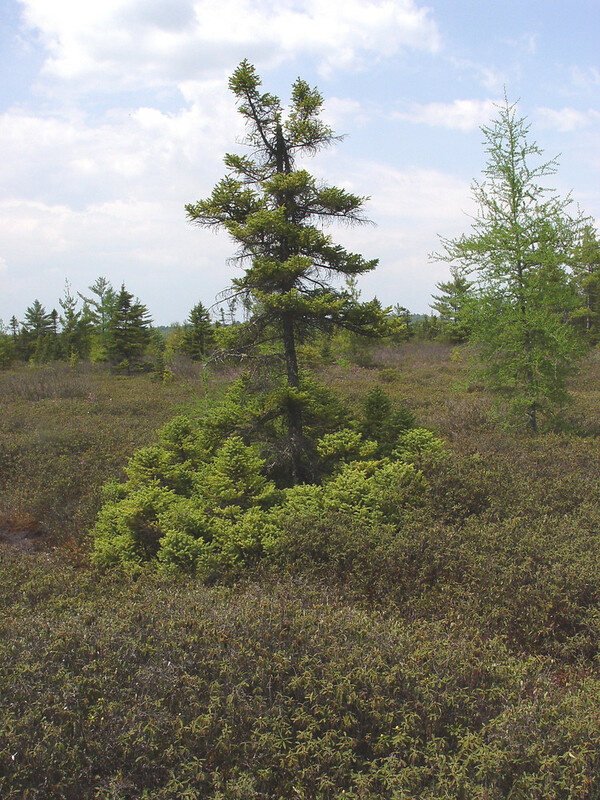 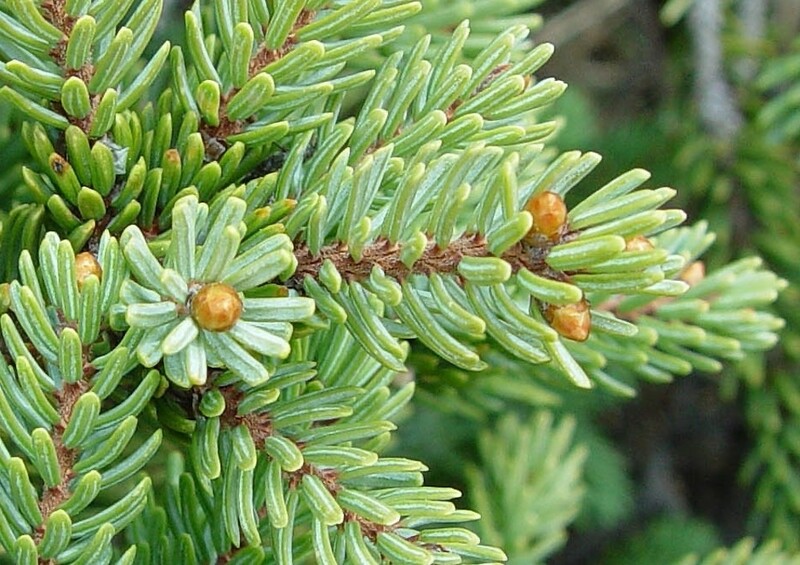 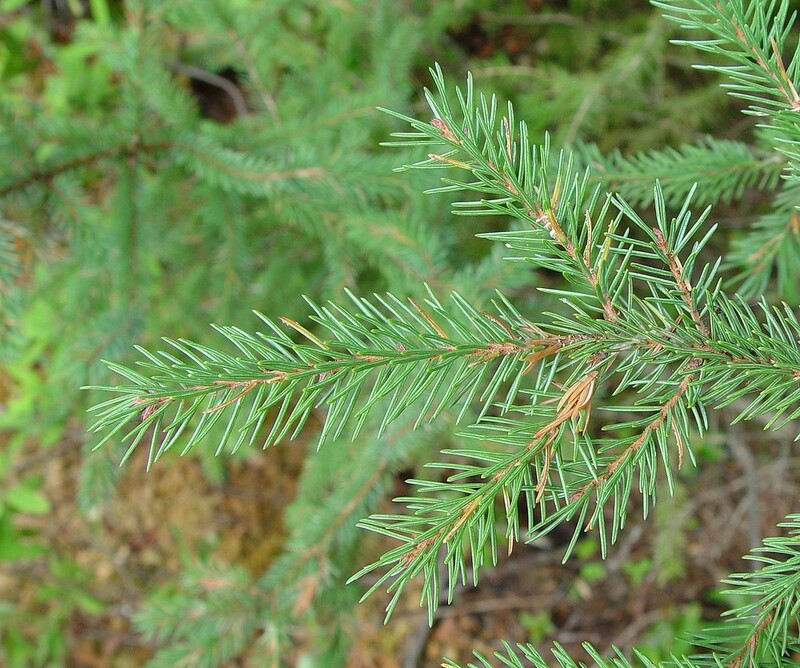 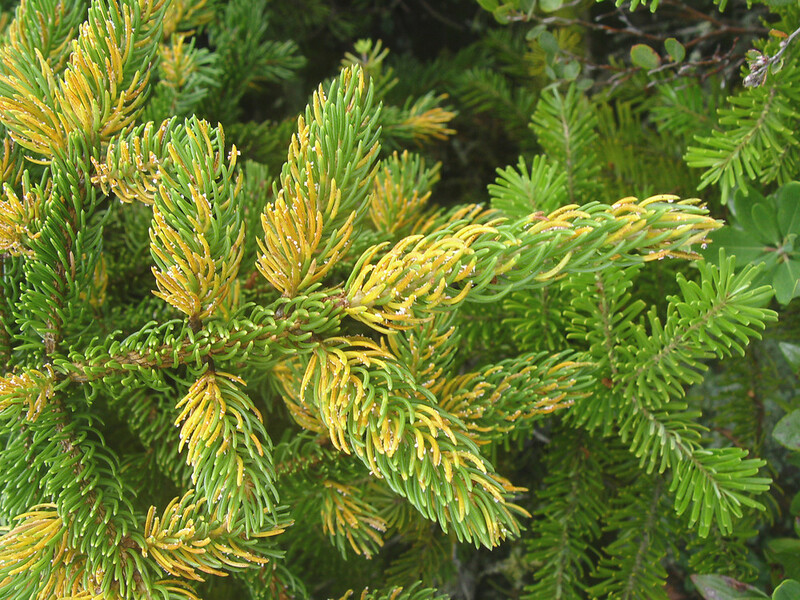 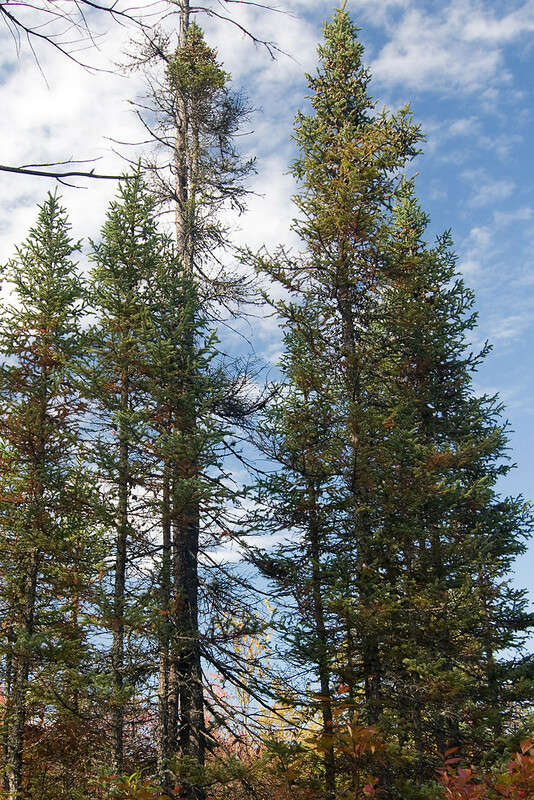 Black spruce grows primarily in bogs and swampy peatlands in New England. 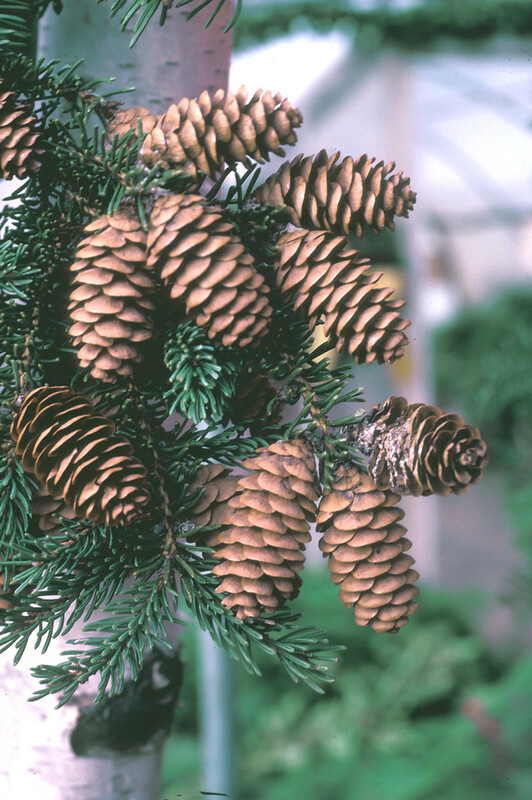 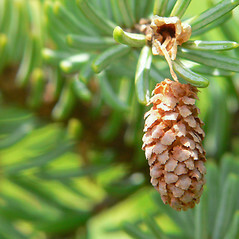 Its cones stay on the tree for several years, gradually releasing seed and extending the crop. 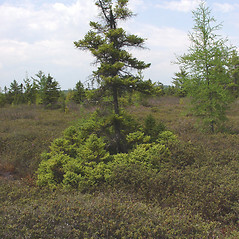 Near treeline, black spruce also reproduces by layering, a process in which prostrate branches root and give rise to new trees. 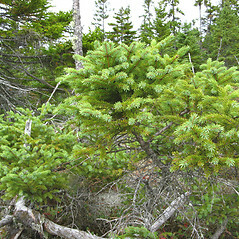 Snowshoe hares nibble seedlings and saplings, and the cones are favorites with red squirrels. 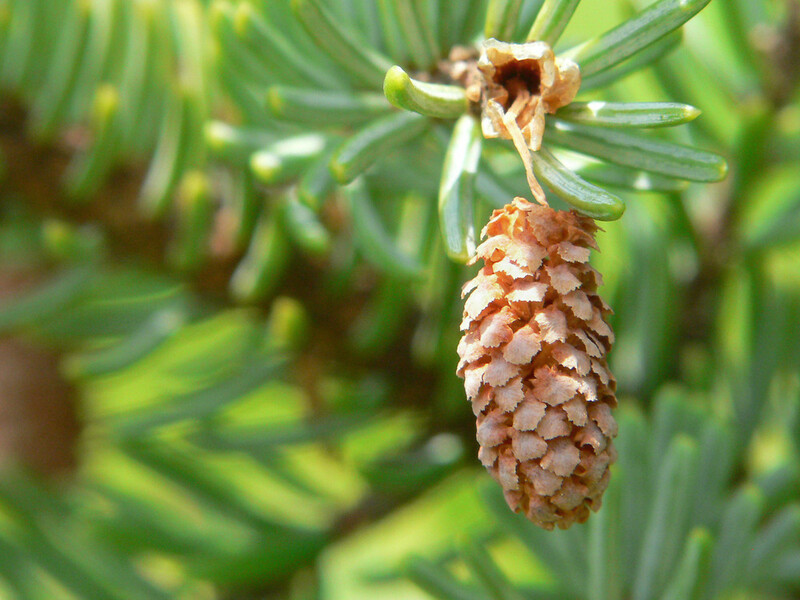 Pine grosbeak, pine siskin, and crossbills also eat the seeds. 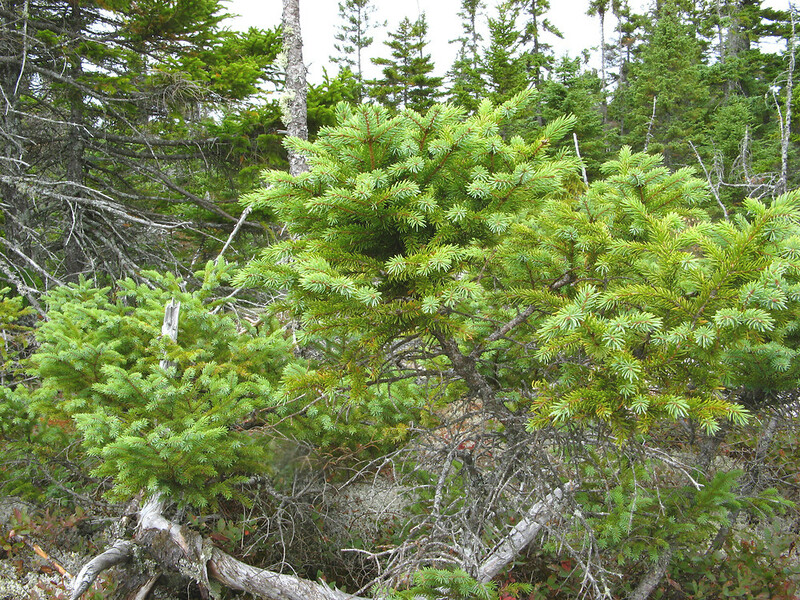 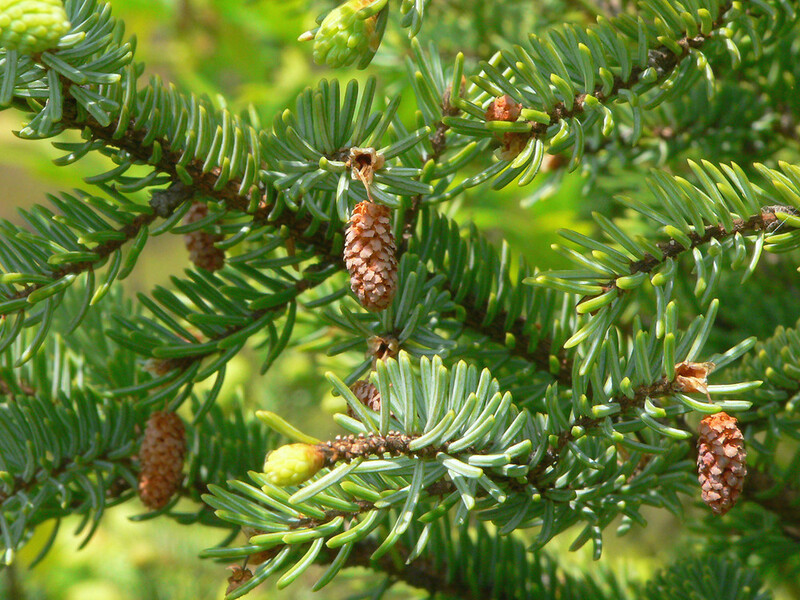 Black spruce is the most economically important source of pulpwood in Canada and parts of northern New England. 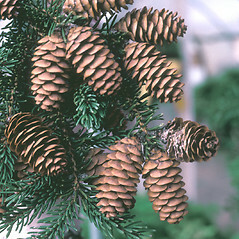 branchlets that lack hairs and have a thin layer of bloom and seed cone scales that are entire along the apical margin (vs. P. mariana, with minutely hairy branchlets that lack bloom and seed cone scales minute teeth along the apical margin). 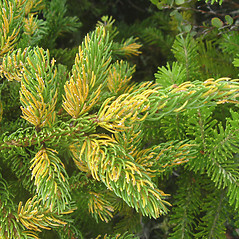 branchlets minutely hairy but none of the hairs terminated by a gland and leaves somewhat shiny and without a bloom (vs. P. mariana, with branchlets minutely hairy, some of the hairs with a gland at the apex, and leaves not shiny and with a bloom). 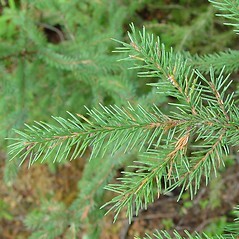 black spruce. 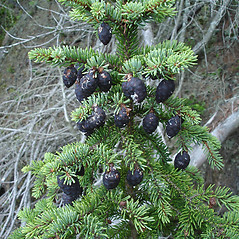 Picea nigra (Ait.) 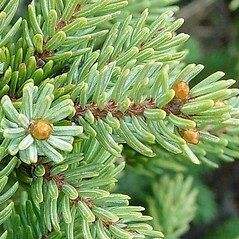 Link; Pinus mariana P. Mill. 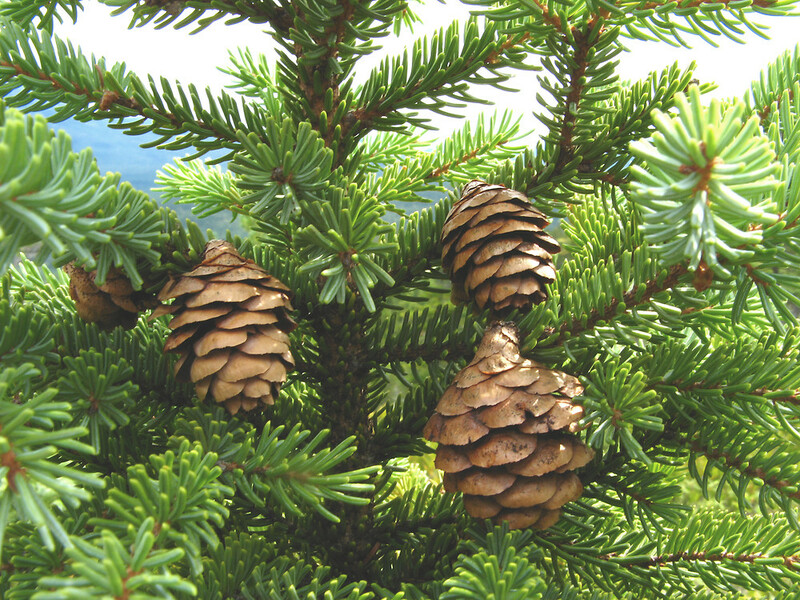 • CT, MA, ME, NH, RI, VT. 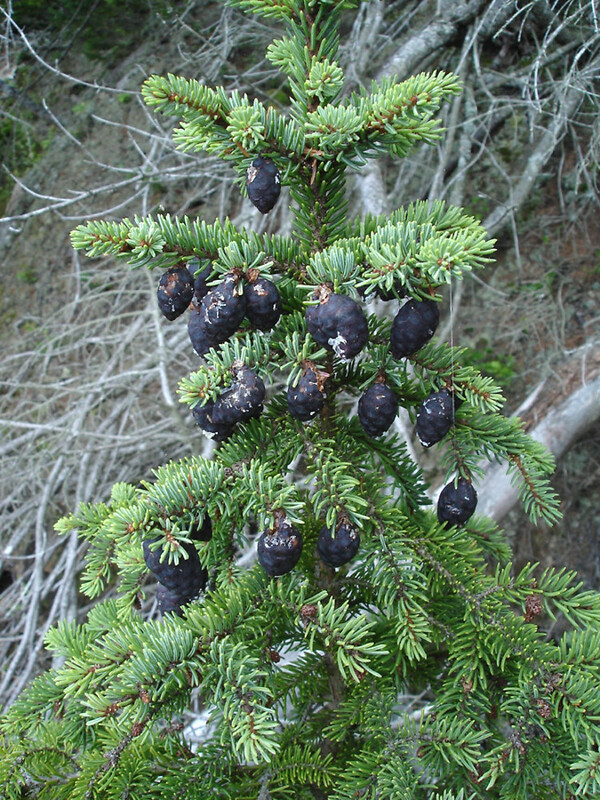 Growing in peat of bogs and folists on high mountain slopes and plateaus.